Japan's traditional sense of "omotenashi", meaningto wholeheartedly look after guests, is wearingdecidedly thin as residents of many of the nation'smust-see tourist spots increasingly express theirfrustration at loud and disrespectful foreigners, crowded public transport and poor etiquetteamong visitors. 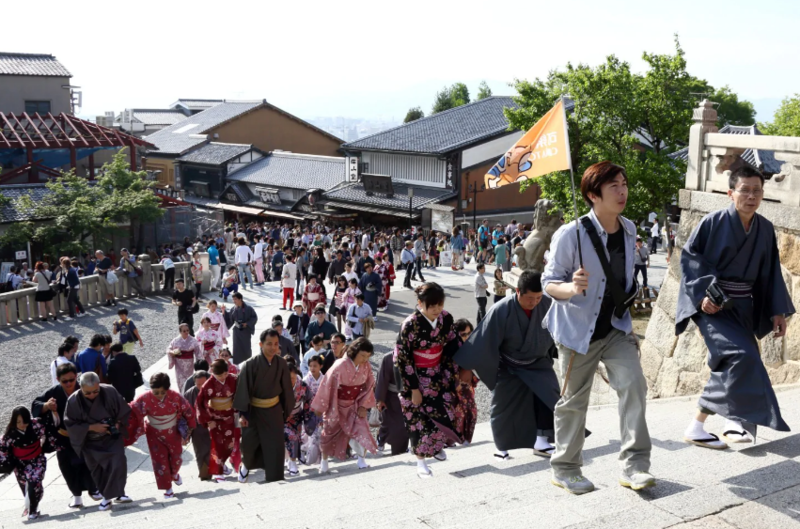 The problem has become so bad in some towns, such as the ancient capitals of Kyoto andKamakura, that local people are complaining to their local authorities about "tourismpollution". Locals say it is difficult to get on buses that go near the most famous sights, while demand foraccommodation has encouraged unscrupulous landlords to lease out unlicensed properties. Foreign tourists also are often unaware of local customs -- such as meticulously separatingrubbish before it is collected -- which has added to the friction with local people. The city's tourism authorities say they are aware of the problems and are taking measures toreduce discord between locals and visitors. More than 20 million foreign tourists arrived in Japan in the first eight months of the year andthe annual total is expected to break the 30 million barrier, up from 28.7 million arrivals lastyear.